Will Chelsea pile more pressure on Jose Mourinho? Will Chelsea inflict more misery on Jose Mourinho? Will Harry Kane build on his England heroics? We look at this weekend's Premier League questions. 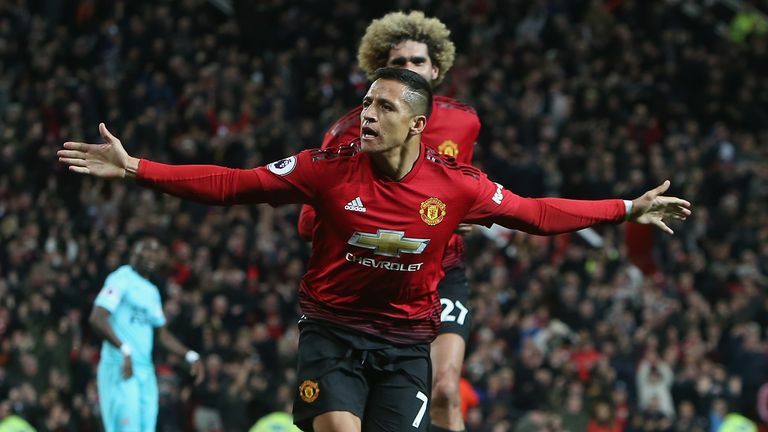 Manchester United travel to Stamford Bridge to take on an unbeaten Chelsea in the weekend's first fixture, live on Sky Sports, before six 3pm fixtures - including the London derby between West Ham and Tottenham. Liverpool's trip to Huddersfield completes Saturday's games. To say it is not going to plan for Jose Mourinho at Manchester United is an understatement. And, as is often the case in Manchester, when it rains, it pours, with his latest FA charge this week, for allegedly directing offensive language down the TV camera, meaning he could be banned from the touchline for the trip to Stamford Bridge. United have won just one of their last five games in all competitions, and have lost on their last three visits to Stamford Bridge under the Portuguese. Another humbling will only cause Mourinho yet more angst. Whenever Harry Kane fails to find the net, talk of a burnout rears its head. Three league goals since the end of August is not up to Kane's usual high standards, with two full 90 minutes for England in their recent UEFA Nations League fixtures also scoreless. However, while Kane did not finish off the moves that helped England register a 3-2 win in Spain on Monday night, he set two up, the first of which was a sublime through-pass into the path of Marcus Rashford. His hold-up play was exemplary, he did everything but score, and will take heart from his effectiveness ahead of Tottenham's trip to West Ham, who have improved markedly of late. It has been six years since a side has conceded more goals in their first eight games of a Premier League season than Fulham have done. Their 5-1 defeat to Arsenal before the international break took their tally to 21 conceded, while, ahead of their trip to Cardiff, they have also failed to keep a clean sheet in their last 22 Premier League away games. Manager Slavisa Jokanovic acknowledged after the loss to Arsenal that defensively Fulham have not been good enough, and that will surely have been the main point of focus in training during the last two weeks. The stats show that Cardiff have not fared much better defensively, but 12 of the 17 goals they have let in were against Chelsea, Arsenal and Manchester City. Having already played four of last season's top six, Cardiff now start a more favourable run of fixtures, and whoever can keep it tight at the back might prevail in this crucial contest between two newly-promoted teams. Pep Guardiola might have the record for a team most Premier League goals and points in a season, but there's more to come for Manchester City if they beat Burnley. Anything but a Burnley win at the Etihad will see the hosts set the longest record for consecutive unbeaten games at 3pm on a Saturday, and would extend their run to 34 games without loss in that time slot. However, the Clarets have a record of their own to trouble Guardiola, having won 50 per cent of their games against reigning Premier League champions, a statistic only Manchester United and Bournemouth can match. Back-to-back wins have alleviated some of the early-season stress around manager Sean Dyche, but Burnley are without a win in 14 away league trips to Manchester City, while the hosts have won 24 and lost just one of their last 30 home league games. Aside from the off-the-pitch issues which have surrounded Newcastle United for years, things have rarely been this desolate on a Saturday at St James' Park. Newcastle have never had a worse start to a top-flight season, having collected two points from their first eight games, and over the international break were the first murmurs Rafa Benitez may be worried about losing his job in the north east. Brighton have not won in their last 17 away games, picking up just five points in that time, and manager Chris Hughton, who was Newcastle boss from 2009 to 2010, has not won at St James' Park from the away dressing room. So something has to give on Saturday - but will it be Newcastle's dreadful start which finally lets up? If they don't, they will equal an unwanted record of five straight home losses to begin a top-flight season - something only Manchester United (1930), Portsmouth (2009) and Bolton (2011) have done before. And what else links those three teams? They all went on to be relegated. 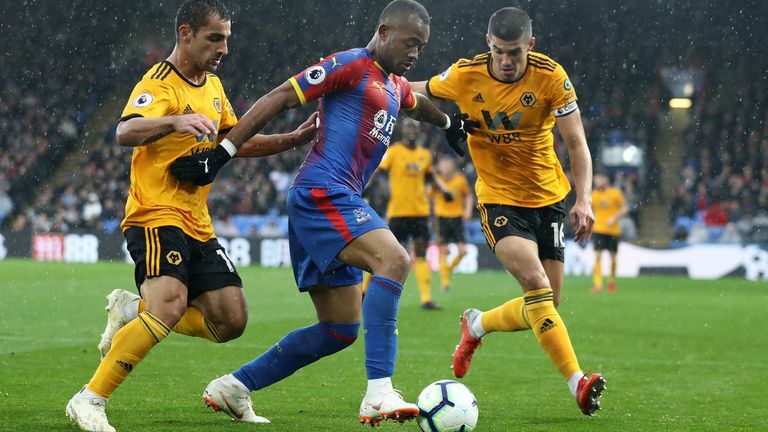 No one was too surprised by Wolves' bright start to the Premier League - after all, they romped to the Championship title last season after bringing in some players who looked a class above the second tier. But getting results against both Manchester United and Manchester City en route to picking up 15 points from their first eight games would probably have been beyond Nuno Espirito Santos' expectations. They are already the most successful promoted team at this stage since Hull stunned the top flight in 2008 (17 points), and only two more promoted teams - Blackburn in 1992 (17) and Nottingham Forest in 1994 (20) - can beat their tally at this stage in Premier League history. Watford have a record in their sights, albeit for different reasons. They are only the second team in Premier League history to win their opening four games and then go four without a victory, after Sheffield Wednesday in 1996. Here is a crazy stat amid all of Liverpool's positivity over the last year - Jurgen Klopp has not won an away game against a team starting the day in the bottom three since Liverpool thrashed Aston Villa 6-0 in February 2016, drawing two and losing four since that day. They did win 3-0 at the John Smith's Stadium last season, though, and haven't conceded a single goal in any of their last seven games against the Terriers. Huddersfield's momentum from their early-season form in 2017/18 has not materialised this year, and only Everton, in 1998, can beat their run of four home games without scoring at the start of a Premier League season. They have racked up only 20 shots on target in their opening eight games of the season this time around, which is fewer than anyone else in the division. After a bright start to the season, Crystal Palace have really struggled in their last few games, winning only one of seven following on from an opening-day victory at Fulham. They are still some way away from their nightmare start from 2017/18, where they lost all of their first seven games, but seven points on the board leaves them closer to the bottom three than the top half after eight games. Things are better for Everton, though, who are chasing a third win in a row at Goodison Park on Sunday, something they have not done since January 2017, when managed by Ronald Koeman. They are also unbeaten in seven games against Crystal Palace since a 3-2 home defeat in 2014, and the ground has not been a happy hunting ground for Palace boss Roy Hodgson either - he has only a draw to show from eight visits. Bournemouth striker Callum Wilson heads into Saturday's clash with Southampton in red-hot attacking form in the Premier League. The 26-year-old has so far contributed an impressive three goals and four assists to help propel his team to sixth place in the table this season. In fact, only Chelsea playmaker Eden Hazard has been directly involved in more top-flight goals, 10, this campaign than Wilson. So can the forward carry on that form when the Saints visit the Vitality on Saturday afternoon? How good would Unai Emery's Arsenal start look if he can add a 10th win in a row against Leicester City on Monday night? After starting his time at the Emirates with back-to-back defeats, that wouldn't be too bad at all for the new boss, and would represent their longest winning streak in more than 11 years. History is on his side, too. 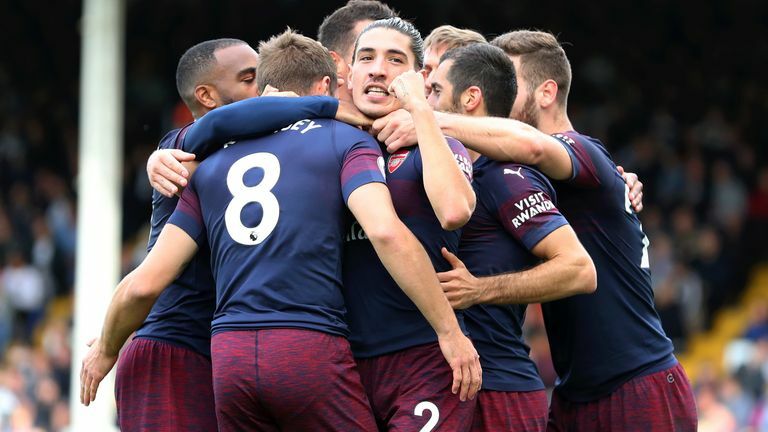 Arsenal have won their last 11 home games with Leicester, and have not been beaten on home soil by the Foxes since a 2-0 defeat at Highbury in 1973. 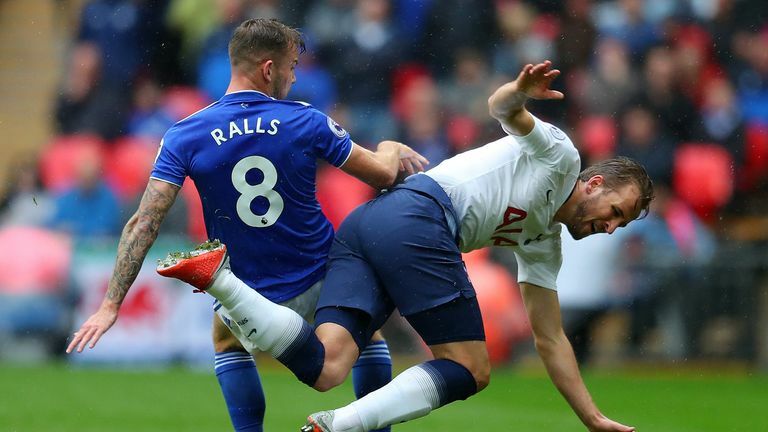 Leicester have won two of their last three away games, picking up just one point less than they did in their previous 11, but they are winless in their last seven games in London since beating West Ham in March 2017.